False Teachers – What is a Catholic to Do? In the first reading at daily Mass for Monday of the 27th Week, St. Paul warns of perhaps the most damaging evil facing the Church: dissension from within. Beware of false prophets, who come to you in sheep’s clothing but inwardly are ravenous wolves. You will recognize them by their fruits. … Every tree that does not bear good fruit is cut down and thrown into the fire (Mat 7:15, 19-20). I know that after my departure savage wolves will come among you, and they will not spare the flock. And from your own group, men will come forward perverting the truth to draw the disciples away after them (Acts 20:30-31). And many false prophets will arise and lead many astray …. For false christs and false prophets will arise and perform great signs and wonders, so as to lead astray, if possible, even the elect. See, I have told you beforehand (Mat 24:11, 24-25). But false prophets also arose among the people, just as there will be false teachers among you, who will secretly bring in destructive heresies, even denying the Master who bought them, bringing upon themselves swift destruction. And many will follow their sensuality, and because of them the way of truth will be blasphemed. And in their greed, they will exploit you with false words. Their condemnation from long ago is not idle, and their destruction is not asleep. For if God did not spare angels when they sinned, but cast them into hell … (2 Peter 2:1-4). There are some things in them that are hard to understand, which the ignorant and unstable twist to their own destruction, as they do the other Scriptures. You therefore, beloved, knowing this beforehand, take care that you are not carried away with the error of lawless people and lose your own stability (2 Peter 3:16-17). But you must remember, beloved, the predictions of the apostles of our Lord Jesus Christ. They said to you, “In the last time there will be scoffers, following their own ungodly passions.” It is these who cause divisions, worldly people, devoid of the Spirit (Jude 1:17-23). Children, it is the last hour; and just as you have heard that the antichrist is coming, so now many antichrists have appeared. This is how we know it is the last hour. They went out from us, but they did not belong to us. For if they had belonged to us, they would have remained with us. But their departure made it clear that none of them belonged to us (1 John 2:18-19). Of particular concern are false prophets who come from within. There is a special subtlety in this kind of deceiver, especially if he wears a collar or priestly robes; even more if he is of the rank of bishop. Great harm has been inflicted by wayward clergy over the centuries. The grief is especially deep because the faithful have rightly been encouraged to love and listen to the clergy. For it is not an enemy who taunts me—then I could bear it; it is not an adversary who deals insolently with me—then I could hide from him. But it is you, a man, my equal, my companion, my familiar friend. We used to take sweet counsel together; within God’s house we walked in the throng. Let death steal over them; let them go down to Sheol alive; for evil is in their dwelling place and in their heart (Psalm 55:12-15). Even my close friend in whom I trusted, who ate my bread, has lifted up his heel against me (Psalm 41:9). Even my trusted friends, watching for my fall, say, “Perhaps he will be deceived, so that we may prevail against him and take our revenge on him” (Jer 20:21). The one who has dipped his hand into the bowl with Me will betray Me (Mat 26:23). Look! The hand of My betrayer is with Me, even at the table (Luke 22:21). Yes, there is a special grief when error and sin come from within the Church. That the world hates and derides us is difficult enough, but internal wounds are the most painful of all. The work of the devil will infiltrate even into the Church in such a way that one will see cardinals opposing cardinals, bishops against bishops. The priests who venerate me will be scorned and opposed by their confreres … churches and altars sacked; the Church will be full of those who accept compromises and the demon will press many priests and consecrated souls to leave the service of the Lord. The demon will be especially implacable against souls consecrated to God (Message of Oct 13, 1973). What are the faithful to do? First, from the Scriptures above, we must understand the warning that such things would happen. Indeed, they have happened throughout history. False prophets arise, even from within. The Lord says through His apostles, Remember that I have told these things would inevitably occur. Therefore, we ought not to be dismayed, but rather sober. Who is the liar, if it is not the one who denies that Jesus is the Christ? This is the antichrist, who denies the Father and the Son. No one who denies the Son can have the Father; whoever confesses the Son has the Father as well. As for you, let what you have heard from the beginning remain in you. If it does, you will also remain in the Son and in the Father. And this is the promise that He Himself made to us: eternal life. I have written these things to you about those who are trying to deceive you…And now, little children, remain in Him, so that when He appears, we may be confident and unashamed before Him at His coming. (1 John 2:15ff). But you, beloved, build yourselves up in your most holy faith and praying in the Holy Spirit, keep yourselves in the love of God, waiting for the mercy of our Lord Jesus Christ that leads to eternal life. And have mercy on those who doubt; save others by snatching them out of the fire; to others show mercy with fear, hating even the garment stained by the flesh (Jude 1:20-23). Catholics today must remember that the faith is not simply anything uttered by a clergyman of any rank. The magisterium is more than that! Everything we hear is to be squared with the consistent teaching of the Church, back through the centuries, as articulated in Scripture and in the doctrinal and dogmatic teachings of the Church. Stay close to the catechism, close to Scripture, close to the Fathers of the Church! We began with St. Paul’s lament about savage wolves who seek to mislead and scatter the flock he labored so hard to build. Mysteriously, the Lord allows some degree of dissent, but He has left us with warnings. Our task is to heed these warnings and judge everything we hear by the deposit of the faith as articulated consistently in the Church down through the ages. Look to the most certain sources: Scripture, Catholic dogma, the Catechism, the Fathers of the Church, and St. Thomas Aquinas. These are bulwarks for us. that they may dwell with me. shall be my friend (Psalm 101:6). 2:9 “‘I know your tribulation and your poverty (but you are rich) and the slander of those who say that they are Jews and are not, but are a synagogue of Satan. 10* Do not fear what you are about to suffer. Behold, the devil is about to throw some of you into prison, that you may be tested, and for ten days you will have tribulation. Be faithful unto death, and I will give you the crown of life. A great priest explained to me anytime I see the word Jew in the Bible I can insert the word Catholic. “…Who say that they are Catholics and are not…” Have we arrived at this scripture, in our day? Either way, the advice is perfect – “be faithful unto death,” and Jesus will give us the crown of Life. “The chiefs, the leaders of the people of God have neglected prayer and penance, and the devil has bedimmed their intelligence. They have become wandering stars which the old devil will drag along with his tail to make them perish. God will allow the old serpent to cause divisions among those who reign, in every society and in every family. Physical and moral agonies will be suffered. God will abandon mankind to itself and will send punishments which will follow one after the other for more than thirty-five years. “ These events are clearly unfolding. A book and web site called, After The Warning To 2038. com, have many prophecies from credible, Catholic sources that are predicting many more future events. I would not point people to After the Warning. Focus on Jesus, here and now and not on the dubious claims of some of those featured on that website. Looking for signs is looking away from Christ. Who benefits from that? I would agree with you wholeheartedly that we should focus on Jesus in the here and now and to ensure that we do all that He has commanded us. “Watch therefore, and pray always that you may be counted worthy to escape all these things that will come to pass, and to stand before the Son of Man” – Luke 21:36. Jesus, Our Lord, Himself gave us plenty of signs and portents to watch for – and I don’t think we dare call those ‘dubious claims’!! I feel also that Matthew 25 verses 31-44 need to be taken very seriously indeed by all of us who like to think ourselves followers of Jesus – because it makes it quite clear there how we will all ultimately be judged on that Great Day – maybe coming along much, much sooner than anyone might like to think . . . . . . .
Pray, Pray, Pray . . . God bless all and give us the grace to obey His word! for Out of Options, wait for the music to stop playing to hear the recording, blessed are you when ackward for the Church, you shall be recorded in her annual as Faithful and True. Ackward as things might be and they have been with secrecy, with silence, with an oath to strict obedience outside the conclave/confession arena to safeguard evil if no other chose is available to the faithful because of the clerics involved is to treat the One, Holy Catholic Church as a Cult, exceptions should be well accepted by this group who lives and teaches their mercy of exceptions to those in hard places, let the prelates in hard places be assured of this exception and remember the words and curse of Paul and a **** off Church. The cardinals have alot of love for conclave rules and secrecy, mums the word. Ah, Msgr. I see the P word is not to be used on your blog or the stars will appear, damn is my biggest problem, say that one way more then I like. There are false prophets in the clergy. There are also false prophets who deem themselves prophets and attempt to stir up the faithful for their own ends (attention, money). The Church fails its people when it does not take action against the wolves who invade the flock; it especially seems unable to deal with those who set up internet ministries. One recent example is Charlie Johnston, against whom the Archdiocese of Denver issued two warnings, noting last year “…Mr. Johnston’s alleged visions were not accurate and the Archdiocese urges the faithful not to condone or support further attempts to reinterpret them as valid.”* Yet this man continues to push discredited prophecies online to this day, and works to get his followers to get active in right wing political crusades. Church leaders must learn to address the misuse of social media! The Apostle Paul may have rebuked some fella named Simon, but it was NOT Saint Peter…!!! Jesus also prayed for Peter that his faith fail not. Now, either His prayer was answered or it wasn’t…!!! Peter’s faith NEVER FAILED. NEVER..!!! The Roman’s know full well what real papal infallibility truly is. And they are using it against an ignorant church of people who have no idea that the papacy has been taken away from them…!!! The papacy is infallible, all the time, every time. There has never been a time in all of Church history when a Pope has taught error, EVER…!!!!! Now, what I’m about to tell you will be rejected by EVERYONE..!!! We lost the papacy when we lost the Papal States..
Pope Pius IX was the last true Pope of Rome…!!! To separate the temporal and spiritual authority of the Church is to DESTROY the very work of God…!!! And that’s exactly what these people have done. The whole world rejected God and His Vicar on earth with the death of the Angelic Pope, Pope Pius IX. So, if we deny a pope is Pope we can disregard him? Sounds like dangerous territory to me! It is the naysayers of our time that would like to convince souls the conditions of infallibility must be kept in the minutest scientific detail and that Infallibility is very rare. This is not saying that that there will always be a Pope on the Chair of Peter. It says that if anyone denies that Blessed Peter should have a perpetual line of successors in the Primacy over the Universal Church… let him be anathema. SHOULD DOES NOT MEAN WOULD…!!! Pope Pius IX said that no one should deny that there “should” be a Pope, not that there necessarily “would” be one…!!! The sin of presumption may get the best of you, if you don’t watch out. I sorry to tell you, but Our Heavenly Father very well may have seen fit to take the Papacy away from us. And there is nothing to stop Him from doing so. “In like manner all censures, whether for heresy or with a note less than heresy, are doctrinal definitions in faith and morals, and are included in the words in doctrina de fide vel moribus definienda. “In a word, the whole magisterium or doctrinal authority of the Pontiff as the supreme Doctor of all Christians is included in this definition of his infallibility. This was (Cardinal Henry Manning’s) view which he expressed in his Pastoral (letter) and this is certainly the inference which would naturally be derived from the Vatican Definition. The Pontiff is infallible whenever “in discharge of the office of Pastor and Doctor of all Christians, by virtue of his supreme Apostolic authority, he defines a doctrine regarding faith or morals to be held by the Universal Church”: but what are those particular instances in which he intends so to define, is to be decided by theologians, according to circumstance intrinsic and extrinsic, on each particular occasion. But as (Cardinal Manning) points out (Page 88 of his Pastoral letter), “Definire is ‘finem imponere’ or ‘finaliter judicare:’” and such final determination may be made by a flowing and rhetorical, no less than by a scientific and precise declaration. The matter is beyond possibility of doubt by the case of the “Mirari vos” (Encyclical Letter). Never did a more rhetorical Act than this issue from the Holy See; and nevertheless three years afterwards, in his “Singulari Nos,” Gregory XVI informed the universal Episcopate, that in that earlier Encyclical he had “defined the Catholic doctrine” “which alone it is lawful to follow” on the various very important “heads” which he proceeded to enumerate. Nor, lastly, has the Vatican Council spoken expressly on the comparative frequency of ex cathedra Acts. But this is the very thing which, in the “Dei Filius,” the Council testifies that he “has never ceased” from doing…!!! The number of his ex- cathedra acts, then, must be very considerable. The same conclusion follows from a similar expression of Pius IX in the “Quanta cura;” and is also established, as we pointed out at the time (October issue, 186, pp. 529-532), by the episcopal address presented to him at Rome. At last, however, we admit that the number is not inconsiderable of those Pontifical Acts, in regard to which no absolute certainty is attainable, whether they are or are not ex cathedra. But we doubt extremely whether there is any one doctrine, taught in any one of those Acts, which is not also defined in others, of who’s ex cathedra character there can be no reasonable doubt. The brain cramp that results from trying to reconcile a reprobate clergy with the teachings of the Church is inevitable. The whole world turned its back on God and His moral government with the death of the Angelic Pope, Pope Pius IX. The Chair is not empty. RbM, I accept that this is your belief! We are all on a journey to try and get to heaven. Best wishes and God bless! Monsignor, is Akita approved? I have read Bishop Ito’s letter and he only approved the statue, not the apparitions. Of course, the flip side of the false teaching coin is the teacher (read cleric) who has time and knowledge for everything from environment to economics but scarcely can put together a complete paragraph about an article of faith. 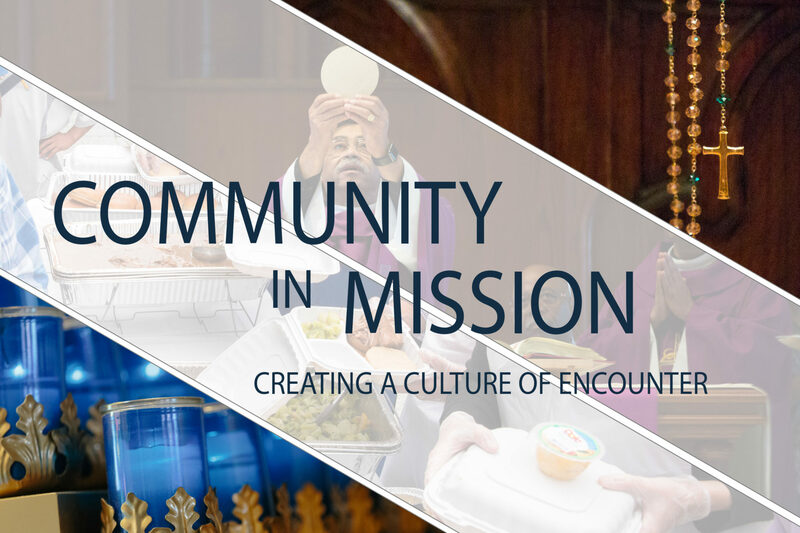 Many parishes have have a dozen committees and groups for everything from natural gardening to bunco but little on the Catechism unless the subject turns to replenishing the local soup kitchen. Scripture is the most certain source of Catholic teaching. Everything else needs to take note of what is in Scripture. This also applies to all of us.